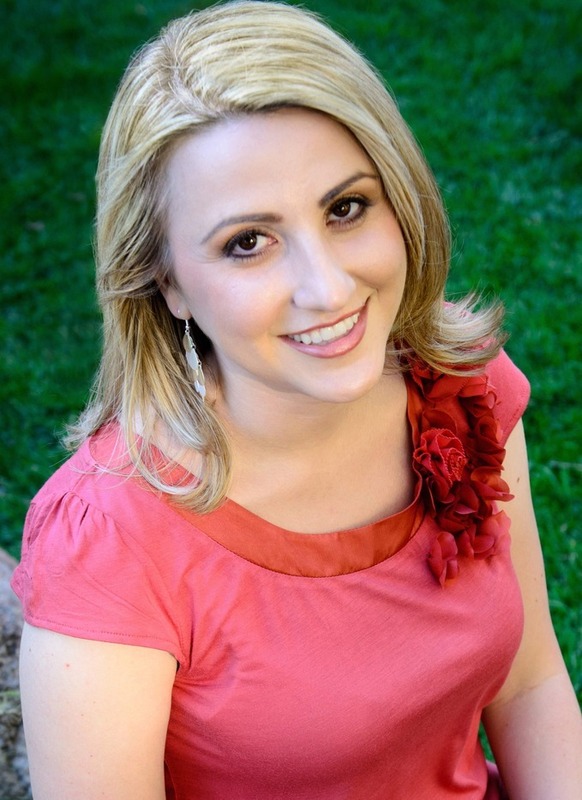 I am so pleased to welcome Shannon Messenger to the blog today! Shannon is a wonderfully supportive writer who is doing big things in the kid lit world. 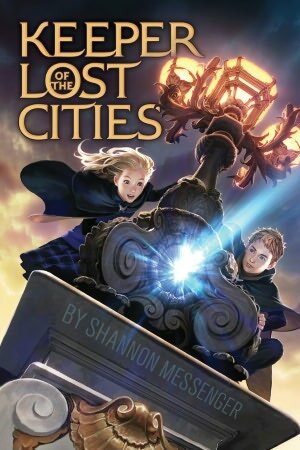 Not only is book 1 of her MG series, Keeper of the Lost Cities (Simon & Schuster) releasing Oct 2nd, but she also has a YA coming out in the Spring of 2013, Let The Sky Fall. AHHH! I am so thrilled to see her reach her dreams! Shannon’s got some great advice here about Voice in Kidlit, so please read on. Yay–I’m so excited to be here! I’ve been a huge fan of this blog for years, so it’s such an honor to contribute. Here’s hoping I can live up to the amazingness of the other posts you guys are used to reading. I thought I’d talk today about writing kid voice, since that seems to be the subject that comes up most often when people find out I write middle grade. In fact, usually the first question people ask is something along the lines of: do you have to simplify things when you write middle grade? And my answer is always an emphatic: NO! Kids deserve way more credit than some people give them. They are very smart and pick up on much more than we may think they do. So I have never once had to change a word because it was “too advanced” or dumb something down so a kid reader would understand it. That being said, there is still a definite “kid voice” that needs to be used when writing middle grade. But it’s not about simplification. It’s about making your writing appealing and relatable to kids. A big part of that will come from the voices of the kid characters themselves. But still, it does trickle into the prose in ways you might not always think of. Mr. Lipkin always wore the same coffee colored business suit to class, whether it was warm and sunny or pouring down rain. Mr. Lipkin always wore a chocolate brown suit to class, whether it was warm and sunny or pouring down rain. Which feels more authentically “kid” to you–comparing something to the color of coffee or the color of chocolate? That’s not to say that kids don’t understand what color coffee is. Shoot, these days lots of kids even drink it. HOWEVER, I still think it’s much more believable that a kid would compare the color brown to chocolate long before their mind would come up with coffee. Coffee feels like a more adult comparison. Which is the same reason I removed “business” from the second sentence. Adults think of “business suits.” To kids it’s just a suit. They’re very subtle differences. But throughout a draft they can really add up and give the story a more authentically kid voice. And obviously the voice of the character also needs to be considered. If your main character is a big coffee drinker, the coffee comparison would probably be the more appropriate. For things like that you will need to use your own judgement. But as a general rule it’s best to try and weed out anything that reads more “adult-centered” from your middle grade manuscripts, because they will make the story feel less relatable to your readers. Not that they won’t understand it. It just won’t feel like it’s speaking to them. And it’s important to keep in mind that this kind of thing can rarely be perfected in the drafting stage. Of course the more you write for kids the more you will start to internalize that voice. But as an adult your brain is going to naturally gravitate toward these kinds of phrasings and comparisons. So it’s something you’ll really want to train yourself to watch for as you revise. I’m a big believer in questioning every word. It’s tedious and obnoxious and kind of makes you want to fling your laptop off a bridge. But it’s also the only way to really watch for tiny voice issues like this, so it’s really worth the extra effort. And just when you think you’ve found them all, your editor will flag a few more and you’ll feel like, ARGH HOW DID I MISS THAT???? Twelve-year-old Sophie has never quite fit in. She‘s not comfortable with her family and keeping a secret—she’s a telepath. But then she meets Fitz, who tells her the reason she has never felt at home is that, well, she isn’t. But Sophie still has secrets, and they’re buried deep in her memory for good reason: the answers are in high-demand. The truth could mean life or death, and time is running out. This entry was posted in Guest Post, MG & Kidlit, Voice. Bookmark the permalink. What a great little exercise to show how thinking like a kid can totally change your writing for them. Loved the post! Congrats and great advice!! I’m teetering toward a middle grade novel in the future (I write ya now), so I’m very interested in this post. I loved this post! THANK YOU for being apart of the blog tour! Thanks for this post. Writing in a child or young adult voice is one of my biggest problems. Your advice will definitely help! You’re so right. Writing for kids isn’t more simple, it’s just getting it written the way kids see the world. Wonderful interview full of good advice. I’m very excited for Shannon having two books coming out! Wowwee! CONGRATS!!!! 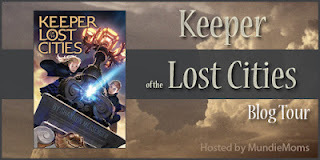 Keeper of the Lost Cities was such an awesome read! Wishing you much success! Awesome post! Huge congrats to Shannon, and lovely, well-explained breakdown of how individual word-choices add up In a manuscript. It really illustrates that voice comes down to world view, and it can be developed. It’s not something that either just exists or doesn’t. Eager to read Shannon’s books! I hope I win so I can judge how well you followed your own advice. 😉 No seriously, KEEPER sounds amazing. This is great advice, Shannon! Thank you. Wow–so many awesome comments! Thanks everyone for reading. So glad you found the advice helpful. And thank you again Angela for letting me post on your amazing blog. Such an honor! So excited for this book! And Shannon’s advice is spot-on. Thanks for hosting her and for the contest! Oh, Shan. How dost though rocketh the blog-o-sphereo. Let me count the ways. I write MG and it can be a challenge to write characters well. We all remember what it was like to be a kid, but our own experiences are so different than kids now. We have to bring the emotions in that are perennial in kids (wanting to fit in, have friends, etc) but write characters that today’s world recognizes! Great advice! I think writing down to kids is one of the worst mistakes a writer can make. Good luck with your book, Shannon! Yes yes and yes on the NO on simplifying your writing for mg. You go Shannon! Thanks for a chance to win your book. One. More. Week…eeek!! You make some great points about natural associations that could be transferable to writing a protagonist who isn’t the same age as you or comes from another culture. I am a huge believer of never dumbing stuff down for kids. My two are 4 and 5 and I always read something that I think might just be a hair over their comprehension. If they don’t understand, they ask, and they learn! Great advice and great giveaway! Good luck to all who enter. Awesome! It’s always fun to watch writers reach their goals! Awesome advice! Voice is so huge for MG. Such awesome advice Shannon especially with your example. So very excited for you.